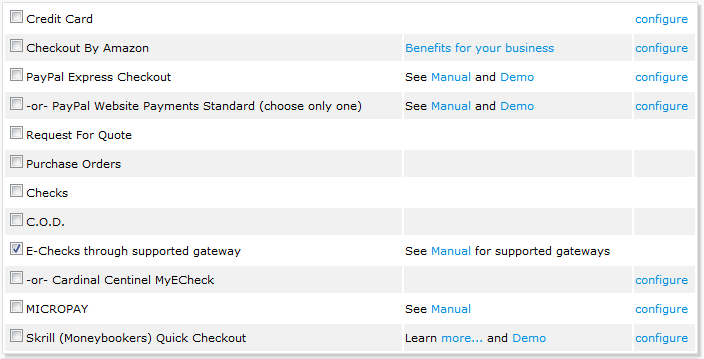 eChecks are available in the checkout when used with one of the following Payment Gateways: Authorize.net, eProcessingNetwork, and ITransact. 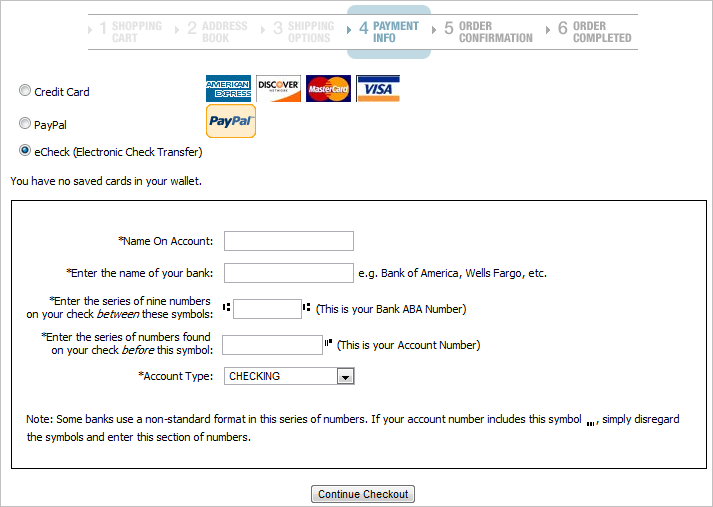 The eCheck option must be enabled in the payment gateway account setup as well as the cart. To use "eCheck" as a payment method, in the admin site go to Configuration → Site Configuration Wizard and check the box beside "E-Checks through supported gateway". NOTE: Another way is by manually selecting ECheck in the PaymentMethods AppConfig. Once the required information is filled in, it will be processed similar to a Credit Card transaction. Note that Ad-Hoc Charge/Refund is not available on eCheck orders.